This normally isn't the kind of room I would write about, but after seeing those dining chairs, I just had to tell someone about them! 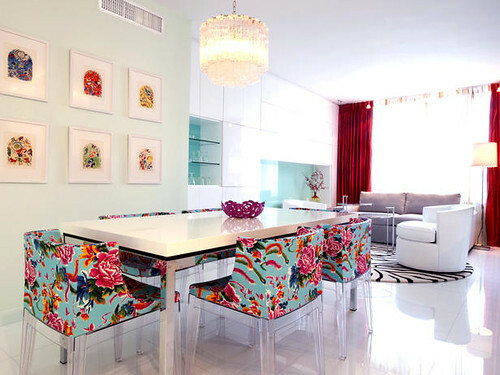 Upholstered backs in bright florals with Lucite legs, it's like the backs are floating! I agree! Amazing chairs! Do you know where they are sourced from?